Orleans makes it easy to entertain. Appetizers at the kitchen island can lead to meals in either of two dining areas, and the conversation can flow easily into the gathering room and covered lanai. At day’s end, enjoy backyard views from the Owner’s Suite, with its spa-like bath and walk-in shower. A flex room and two extra bedrooms round out this single-story layout. 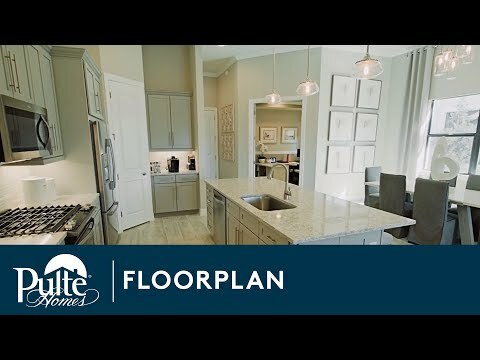 Step inside Orleans to see the Life-Tested Home Designs® with more usable space where you want it most. So you live the way you want to live. The Orleans stands out for its open gathering and dining areas. The well-equipped kitchen features a stylish Moen® faucet, a walk-in pantry and large center island. A flex room off the kitchen could be an office or den, offering a cozy space to relax or work at home without interruption. Orleans makes it easy to entertain. Appetizers at the kitchen island can lead to meals in either of two dining areas, and the conversation can flow easily into the gathering room or covered lanai. At day’s end, relax in the private Owner’s Suite.